A new hot tub may be many homeowner's dream, but disposing of an old one can be a nightmare. So how do you handle that junk hauling task? Hot Tubs are a great way to relax and soothe your muscles after a long day at work or a tough workout. What is not relaxing is the thought of breaking down and removing your hot tub or spa on your own. Not only is the process very labor intensive, but once you have the hot tub broken apart you need to think about where to haul the pieces. Will they fit in your car or truck? Where do you bring them to responsibly dispose of the various parts? Do you have old hot tub or jacuzzi sitting in the porch or the back yard, broken down and not being used. Is it an eyesore now that is simply collecting dust and taking up space? Getting rid of old appliances like hot tubs, spas, even refrigerators or old washing machines can be a daunting process. Not only are big appliances notoriously hard to pick up and move, but how do you know where to bring them once you load them in a truck? Depending on the type of hot tub you are disposing of, and the materials it's composed of, much of it can be recycled. If you currently own a hot tub you are not alone. It is estimated that there were over 21 million households in the U.S. with a pool, hot tub, or spa as of 2015. Inexpensive hot tubs that are not constructed with quality materials may last only about five years. At the other end, hot tubs made with high-quality materials that also typically come with a long warranty and a high price tag, can last 20 years or more. Mid-grade hot tubs have an average lifespan of around 10 years. In addition to the quality of construction and materials, the life of your hot tub depends on the care it receives. If it's not properly cleaned and maintained, or if it's moved or lifted from the surrounding insulation, the life can be significantly shortened. Whether you have decided it's time to replace your old hot tub with a new one, or simply want to use that space for something new and different, disposing of your old tub is still a challenge. Of all the options available to you, the most cost-effective and safest approach - short of selling it - is to call a professional junk hauling firm. 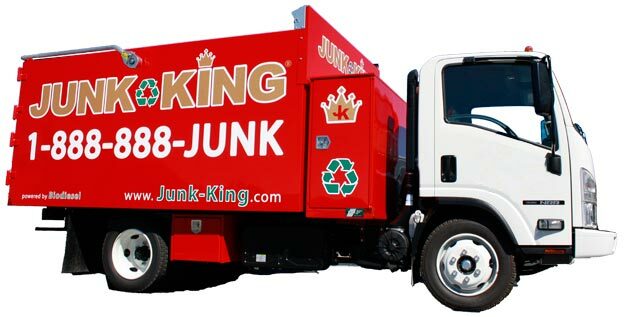 Junk King provides an efficient, safe and eco-friendly hot tub removal service so you don’t need to worry about the pick up or disposal of that old tub. We do it all - simply show us where the old hot tub is and our removal pros will break it down and carry it to our specialized truck. Not only that, but we make sure that your old spa ends up in the right place; in some cases a recycling facility to ensure your tub is disposed of in an eco-friendly way. Our professional and insured hot tub removal team will show up at your home or office; we call 15 minutes before we arrive on site and we’ll give you a free estimate based on how much room your junk takes up in our truck. You point and we haul those items into our junk removal trucks, with no hidden fees. Ready to get rid of your hot tub? It’s as simple as 1, 2, 3. You make an appointment by booking online above or by calling 1.888.888.JUNK (5865).